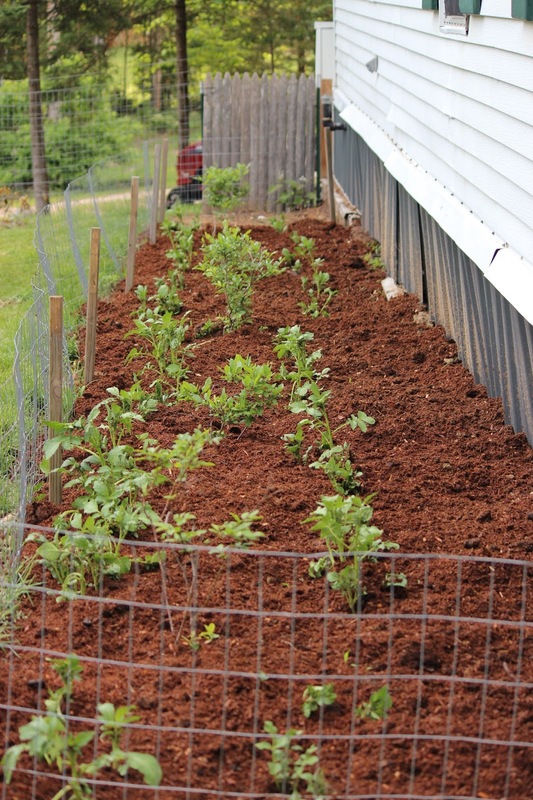 I am excited to say that since last June we have almost doubled our garden space. Despite this it was still a challenge to fit everything we wanted in. This spring also proved problematic. We had a few late snow falls after things were planted, the peas especially stood up well though. We also had a lot of chicken escapes leading to stretched up beds. This bed is one of those that was hit by the chickens. See that lonely little patch of lettuce? There was supposed to be a lot more. On the other hand see those to sunflowers? They were volunteers and there’s tons more like them throughout our garden. I highly recommend the Rostov Sunflowers we grew last year. 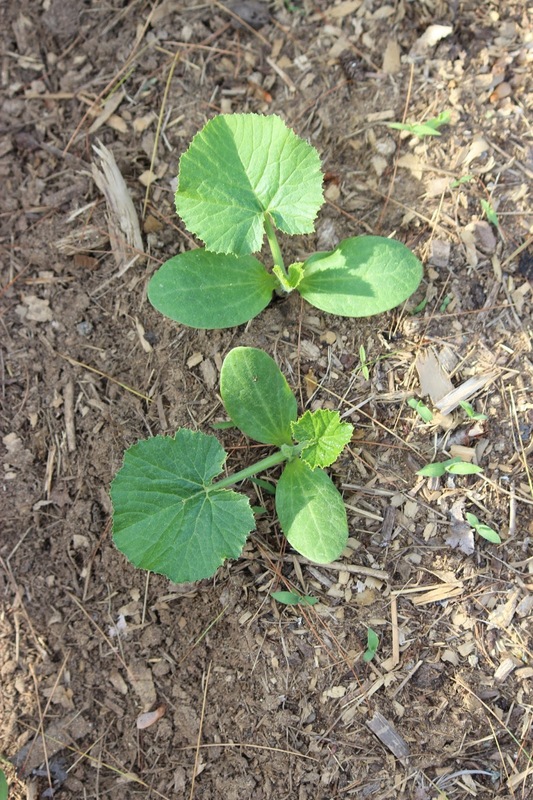 Our Yukon Gold potatoes doing well from seed we saved last year. Our new herb bed, just planted, including some mint we got for free from the site of an old abandoned garden (see below). 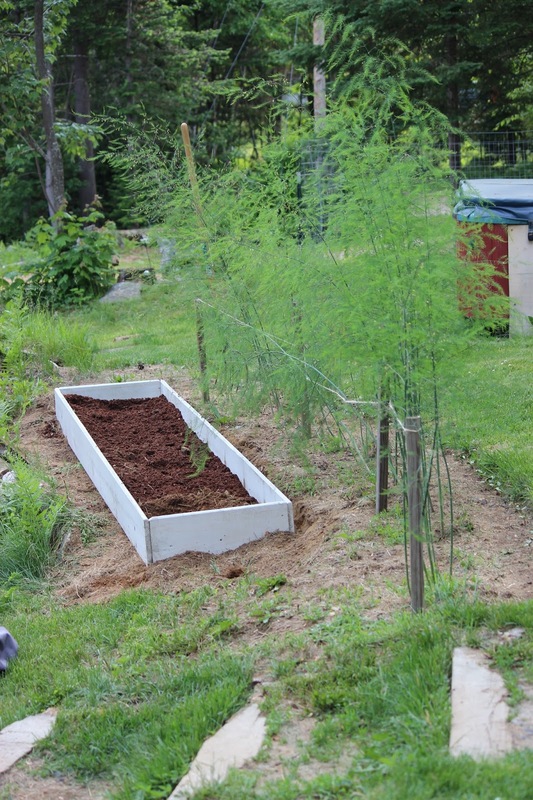 Also our asparagus patch of course. Corn, Brussels sprouts, red onions, cauliflower, and Zucchini. Tomatoes, peppers, eggplant, and yellow onions. We have once again put off covering the hoop house due to our upcoming move. Stay tuned for more information on that! Our first farmers market of the season. Pretty skimpy huh? Things are finally starting to kick in though this Sunday we’ll have snap peas, garlic scapes, strawberries, and radishes in limited quantities plus more baguettes and eggs.